APTISMS are joyful occasions. When an infant is to be baptized, families are still in the midst of celebrating the child’s natural birth, to which the promise of sacramental rebirth adds still greater joy. These are occasions for rejoicing on the part of the wider Church family, too, as we see the hope of eternal life shine upon new members of the Mystical Body. 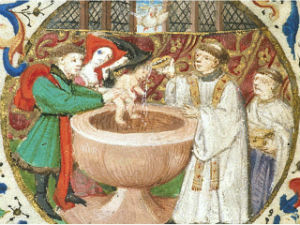 More and more often, Roman Catholic priests are asked to perform Baptisms in the Extraordinary Form. Most priests today were never trained to baptize according to this form, but—with the right resources, a little personal effort, and an open mind—acceding to such requests is easily within reach. 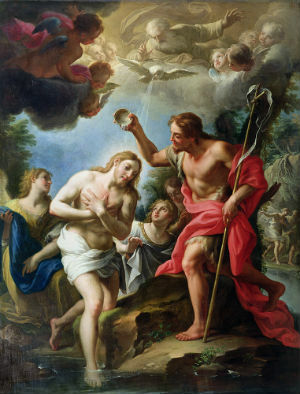 I wrote a reflection some time ago about celebrating Baptisms in the Extraordinary Form, which has proven helpful to many priests who have been approached by families seeking this Sacrament for their children. (Another interesting reflection is published through Catholic Herald.) Still, performing this rite can pose other difficulties. Among the chief stumbling blocks that priests and families encounter is unfamiliarity with the rite on the part of those who will be in attendance. Although this issue does not, of course, affect the validity of the Sacrament, it certainly impacts the overall fruitfulness of the celebration. Facilitating deeper participation in the Sacraments is one of the principal aims of the Liturgical Movement and a very noble goal (cf. Sacrosanctum Concilium, no. 14). Today, I am pleased to present an invaluable resource for Baptisms in the Extraordinary Form, which will help to alleviate this stumbling block. It is a participation booklet intended to assist families and friends in following the order of the rite and the Latin prayers. A second version of the booklet is available here; the content of both versions is identical, but the second version is formatted for “one up” printing. For a Latin-Spanish version of this booklet, see our subsequent post. HIS resource is being offered here courtesy of Very Rev. Bryan W. Jerabek, JCL, rector of the cathedral of the Diocese of Birmingham in Alabama (also available from his blog). He has kindly granted permission for this booklet to be reproduced and disseminated freely.